I recently watched a great Frontline documentary “The Retirement Gamble” exposing many practices the financial industry employs that more often than imagined negatively affect our retirement savings. Whether it’s your 401(k) or IRA accounts, all the risk and numerous costs have shifted towards the account holders, making it an easy gain for the financial companies providing advisory services and leaving uncertainty about the future for those of us who want to ensure fair and adequate retirement. 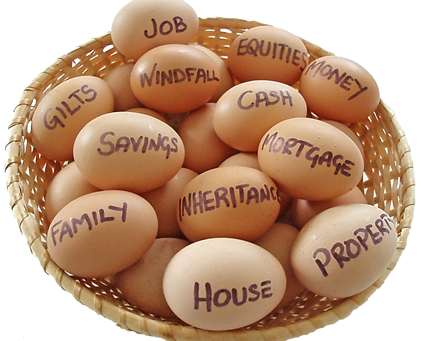 How to ensure proper retirement? There are many strategies and solutions to ensure that by the time you retire you have accumulated enough not to outlive your savings. Arguably the most important thing to keep in mind is time. The longer you have the better the chances you will save a sufficient amount. There is one problem with this advice and it is that it doesn’t apply to so many Americans. We are just beginning to debate how to fix the looming retirement crisis. The first step to solve any problem is to admit that there is one so we made a very important first step. But there are no clear ideas on how much is necessary to avoid a disaster and by extension that uncertainty prevents our leaders to come up with any concrete solutions on how to put it back on the right track. The need to find a solution is once again shifted to individuals. The real challenge is that most of the people don’t have time as an ally in achieving the retirement goals. Up until a while back companies were offering pension plans, wages were adequate to the necessary standard of living, and our national retirement fund was not threatened. Reality is different today and our youth will have the opportunity to save for prolonged period of time having been exposed to the importance of taking care of one’s retirement and witnessing first hand problems the future retirees face today. What to do it time works against you? As I mentioned before, many Americans don’t have enough time to have the power of compounding interest work its magic. So where do you start? My suggestion is that you start living within your means now and take control and organize your finances. It sounds simple but reality may seem so different for many. After all, restructuring finances is one of the most common New Year’s Resolutions. But it doesn’t have to be that hard if you have the right approach. A Chinese proverb says that a “Journey of thousand miles begins with a single step.” Many of us may fail in reaching the financial objectives if we try to change everything we do right off the bat. It takes time to establish certain routine or discipline and it’s better to do it in a series of small steps that with time become a complete system that works for you. What are the steps to take to save more for retirement? Sit down and take an objective look at your finances. Do you have more money coming in or going out? If you spend more than you earn, you have to find a way to change that. When there’s a will, there’s a way. Cutting some bills, switching services to less expensive ones, giving up some luxuries even for a few months is required to stop the financial bleeding. For extra income, pick up a part-time job even for a few hours per week. With the summer coming up, it should be easier to get additional employment. Use that money to pay down debt or stash away towards retirement. Remember that personal budgets are flexible. Even if your income is fixed, your expenses can be adjusted and if you only give it a try, you can make a significant progress. Do that by understanding what you spend your money on and then make decisions. Starting to save for retirement when you’re forty or fifty may seem like fighting a loosing battle. Many will say you won’t have enough time to do it. I don’t know if that’s true or not because a general answer cannot be applied to everyone. What I know is that starting to save, no matter at what age, will give you a start and instill a habit and discipline to save, just like the previous generations did. Once that becomes a second nature to you, finding new ways to save and earn money will become easier. Retirement should once again be the time you look forward to with excitement and anticipation, not with fear.